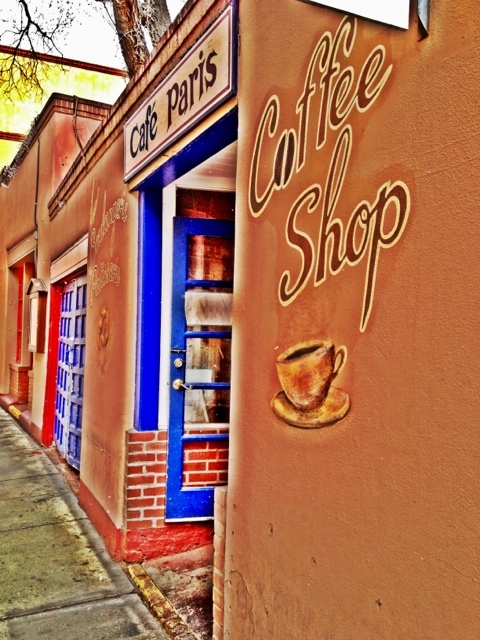 Walking down the historic streets of Santa fe, New Mexico. I think what caught my attention to this building were the colors and the coffee cup. 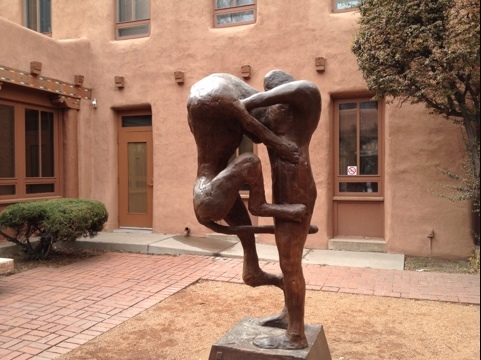 I grabbed a quick shot trying not to make my husband too crazy because we were stopping every few minutes when something caught my eye, and believe me Santa fe is full of so many photo opps. Unfortunately, we were only there for a short time so I had to be quick and observant. Surely I missed a lot but, that leaves more for next time, right? Camera+ for capture and edit. I wanted to go take pictures at Cadillac Ranch. 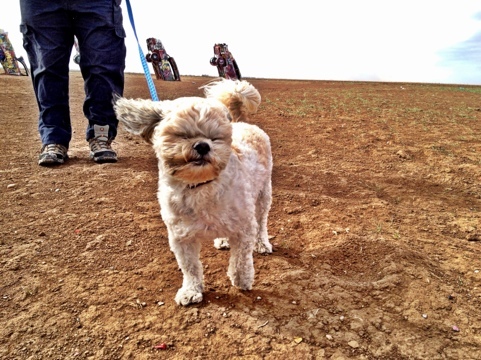 We stopped and I could not believe how windy and cold it was! I was determined to get pictures so my husband, Trooper and I went for it. This is what Trooper thought of the whole thing! Camera+ and edit. With the launch of the new facebook timeline on March 30th this might be something for those of you who are on instagram. I made a cover of the last 50 photographs that were posted to instagram. You can save it and make it your cover photo on facebook. click on this link http://statigr.am/promote.php and you can make one too. 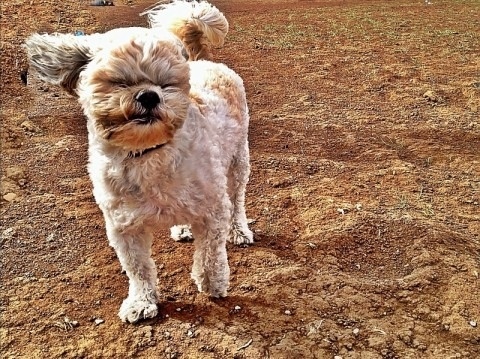 I just learned about this app indirectly through a blog that I am following called PhotoBotos.com They recently had a post called World’s Cutest Puppy – Larry Marshall – Featured Photographer and btw the puppy is adorable! Wanting to see more of Larry’s work on went on to his pinterest link and saw that he had a board called instagram tips. This is where I learned about the Diptic app. It is really a neat app for putting several pictures together that tell a story. This is what I came up with. 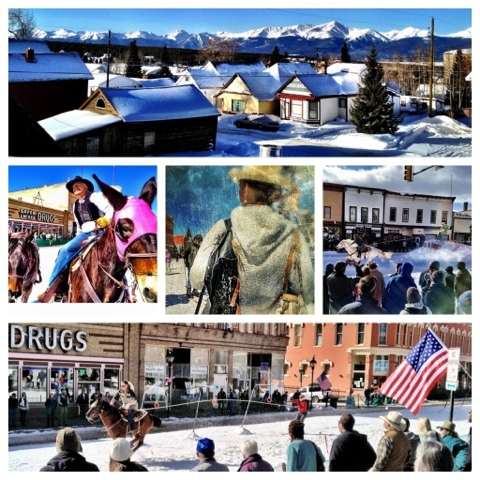 Leadville Colorado Ski Joring Weekend. 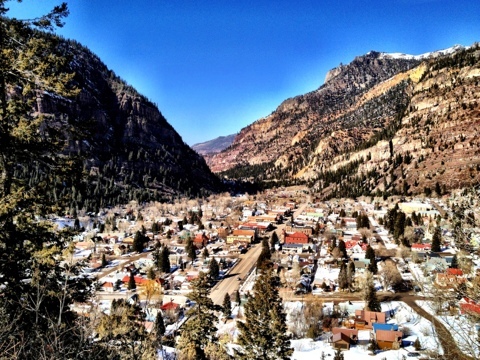 The city or Ouray nestles in a steep V-shaped valley in the heart of the San Juan Mountains. 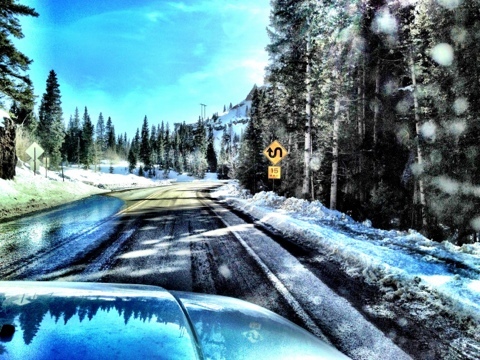 Surrounded by snow-capped peaks, several topping 14 thousand feet, the jewel-like Victorian town, at 7700 feet, is an historical journey, a scenic feast. The town is designated a National Historic District. I took this picture using camera+ and did very little editing. This was an interesting sculpture. As we were walking by I noticed it out of the corner of my eye and I had to take a picture. My favorite go to camera+ was used again to take the picture and edit.